Witness the final battle for the souls of Everlost in a “compellingly readable and a worthy finale to the Skinjacker trilogy” (VOYA). While Mary lies in a glass coffin aboard a ghost train heading west, her minions are awaiting her re-awakening by bringing lots of new souls into Everlost to serve her. Meanwhile Jackin’ Jill has met Jix, a furjacker—a skinjacker who can take over the bodies of animals, most notably jaguars. Jix serves a Mayan god who collects Everlost coins to use in his Wurlitzer, which predicts the future. In the concluding volume of The Skinjacker Trilogy, Neal Shusterman reveals new sides of the characters of Everlost, who are pitted against each other in a battle that may destroy all life on Earth. When teens Allie and Nick are killed in a car crash, it isn’t the end of their story, but the beginning: they wake up in Everlost, a world poised between life and death, superimposed on the living world and populated only by the souls of children. The bickering Allie and Nick, traveling with their new friend Lief, head toward their homes. Along the way they spend time with Mary Hightower, who has made it her mission to save and comfort all the lost children of this inter-world, whom she has named “Afterlights”. They also hear stories of a monster called the McGill, a fearsome creature searching for souls to devour. But as Nick falls in love with Mary, and Allie comes to know the McGill, they begin to wonder which one is the real monster. Nick has made it his mission to help children escape from Everlost to the light at the end of the tunnel. But Mary Hightower finds purpose in gathering these Afterlights to her, and wants to control all of Everlost. Even though she still loves Nick, she sees his actions as the ultimate betrayal. Meanwhile, Allie heads for home with Mikey, the boy she loves—formerly the monstrous McGill, now returned to human form. Allie, who has learned to “skinjack” (possess and take over a living human body), meets a team of skinjackers led by the charming Milos. When Milos and his team go to work for Mary, creating terror in the living world, Allie and Mikey team up with Nick to take one last stand against Mary—at Graceland. After her seeming defeat, Mary returns to Everlost, using her skinjackers to sow chaos and terror across the western United States, replenishing her stock of Afterlights. Mary has a plan to bring the souls of millions of children to her in one stroke: with the help of Milos and his skinjackers, she is going to destroy the living world. When Allie, Nick, and Mikey discover Mary’s terrible goal, they vow to stop her. They enlist the help of a new friend, Jix, a “furjacker” (who possesses great cats, like leopards), and a “scar wraith” named Clarence, an adult in the living world who can see into Everlost, and whose touch will annihilate any Afterlight. Together they travel to meet Mary and her army of children for the ultimate showdown at Trinity, test site of the first atomic bomb. • Allie and Nick gradually discover they were killed in the car crash, and gradually accept their existence in Everlost. How do you think you would react to this news? What is the first thing you would do? • In the novel, we learn that the spirits in Everlost, detached from the living world, begin to forget things. Even if forgetting in Everlost brings comfort and remembering brings pain, which memories would you most want to hold on to? Which would you want to forget? • Lief has been happy in his private forest for a hundred years. Mary Hightower tries to get her Afterlights do the same things over and over again, living out their perfect day. If you had to spend your eternity in Everlost doing one thing, what would that thing be? • While Mary hopes each Afterlight will find their niche, Allie sees this as being stuck in a rut. We in the living world are not immune to our own repetitive tasks. What are your ruts? • Paranorming (causing living world objects to move), ecto-ripping (bringing living world objects into Everlost), and skinjacking (possessing and controlling a live body) are also known as “the Criminal Arts.” Which of these three Everlost skills would you like to have? Why? • Buildings and objects, from the old Penn Station to Lief’s rabbit’s foot, cross over to Everlost when they are made with love or become beloved, and then are lost quickly. What loved things, gone from your world—objects you’ve lost, buildings demolished, etc.—do you think deserve to wind up in Everlost? • Strength in Everlost has nothing to do with muscle mass. It has to do with the strength of one’s will. How is this similar to the living world? • When Allie pretends to teach the McGill how to skinjack, one step she tells him to perform is a selfless act. But the McGill points out anything he does won’t technically be selfless because he will be doing it to get something. Is it actually possible to perform a completely selfless act? Give examples. • Allie at first is revolted by the McGill but ultimately falls in love with him; instead of killing her, he saves her life. 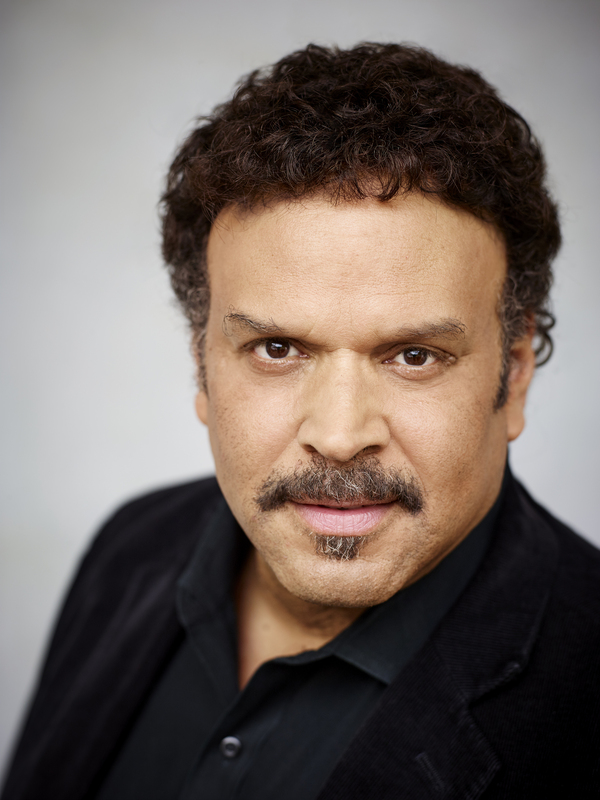 How does Neal Shusterman make this character arc feel natural and inevitable? • When Nick learns the purpose of the coins, to get the kids where they’re going, he distributes them to all the Afterlights. What do you think of Nick’s choice? Would you have made the same one? • Throughout the novels, we see how different characters perceive things differently. For instance, Nick believes helping the children move on to the light is his purpose, while Mary thinks this makes him as monstrous as the McGill. Each believe they are right. How does Shusterman make us identify with each character, as each believe they are the good one, doing the right thing? • “Memory in Everlost was a far greater force than gravity,” the author writes. Two examples are the space shuttle Challenger being suspended in midair, and Nick slowly turning into chocolate. What are some other examples from the book? How powerful is memory in our world? • Allie begins to compare her skinjacking ability to being a vampire. The taste, the hunger, the need are almost overwhelming. How would you feel under these circumstances? Would you feed the addiction, or fight it? • Milos tries to explain to Allie how skinjacking is her purpose, that the living take their lives for granted, and only the skinjackers really appreciate “every breath, every breeze, every beat of the heart.” What do you think of his argument? Why does Allie find it so compelling? • Mary, with only good and positive thoughts, sends skinjackers into the world to murder children in order to turn them into Afterlights. How is it possible to believe that you’re the force of good as you do unspeakable evil? • In Everlost, Wurlitzer, the old-fashioned jukebox, is given unlimited power by the Neon Nightmares. Jix fears “how much power a thing could have when it was given permission to have it.” Can you think of some examples of actual objects of power in our living world? • For the first half of Everfound, Mary Hightower is not involved in the story directly, yet her presence looms over the novel. How does Shusterman achieve this? • Jix believes that everything has a purpose, while Clarence thinks “it all goes belly-up in the end.” Who do you think is right? Why? • From the first time Allie skinjacks, she feels bad about changing the course of people’s lives, scaring them, using them. By the time she takes Milos’s life, she wonders if she’s as much of a monster as Mary is. What do you think? How is killing Milos different from what Mary is doing? • Lief has saved three objects from his life that have crossed over—a shoe that had been his father’s, a rabbit’s foot, and a photo of himself. Make a list of objects you’d like to have with you in Everlost, and explain why. • Mary Hightower’s books include Tips for Taps, The Gravity of Gravity, Everything You Ever Wanted to Know About Vortexes but Were Afraid to Ask, and You’re Dead—So Now What? Make up the title of your own book about Everlost, and write some appropriate tips for Greensouls. • The twin towers of the World Trade Center crossed over to Everlost on September 11, 2001. They are Mary Hightower’s headquarters and the source of her name. Research any aspect of the towers—the origin, construction, use, or destruction—and present your findings in a report. • In Everlost, you wear forever the clothes you died in. Cut out photos from a magazine that show what you would most like to spend your eternity in. Explain why. Discuss the disadvantages of your particular outfit. • Allie the Outcast writes her own book and calls it Everything Mary Says Is Wrong. But her title isn’t entirely correct—only some things Mary says are lies. Put two columns on a piece of paper, labeled “Truth” and “Lie.” Go through the writings of Mary and place quotes in the appropriate column. • The McGill became a monster by imagining himself as the ugliest, most terrifying creature in the world—with an eye that dangled from its socket, a tongue that forked into three octopus tentacles, etc. Draw a picture of the monster that you would become if you had to. • Allie, quick on her feet, tells the McGill that she will teach him how to skinjack. She claims it takes twelve steps, but only gets through seven before he finds out that she’s lying. Write down your own five final steps that Allie might have used to trick him. • Mary and Nick travel to meet the McGill in the Hindenburg, a giant airship that crashed and burned in Lakehurst, NJ, in 1937. There is a famous news report of the destruction of the Hindenburg. Listen to the recording, then imagine how such an event would be handled today—via TV coverage, live tweets, on-the-spot interviews, etc. Then, with a group, do a live report for your class on the disaster. • “The rational world demands rational explanations,” the novel explains by way of justifying how ecto-rippers get away with pulling objects out of the real world. Research some paranormal events (the Loch Ness Monster, hauntings, UFO reports) and find the “rational” explanations offered by experts. Do you think these official responses hold up? • Zinnia Kitner is a young girl who was so determined to fight in the Civil War that she cut her hair and dressed as a boy. In real life, before women had equal rights, many girls have done the same—to fight in a war, to play music as a career, or simply to get a job. Often the truth came out only after they died. Research and write a report on a real-life woman who pretended to be a man in order to fight, perform, or work. • It turns out the reason that Allie can skinjack is that she isn’t really dead—her body is still alive, but in a coma. There is a political and ethical debate taking place in the country regarding the question of when life ends, what medical science can and should do, living wills, etc. Choose one aspect of the issue and stage a debate on the right to die. • Graceland, the former home of Elvis Presley, is now a landmark and tourist attraction. In Everlost, the structure is a vortex known as The Intolerable Nexus of Extremes. Learn more about Graceland and Elvis Presley, and explain why the name of this vortex makes sense. • When the story ends, Zinnia (the Civil War girl) has been returned to the living world, and we never see her again. Write a short story describing what you think happens to her in the present day. 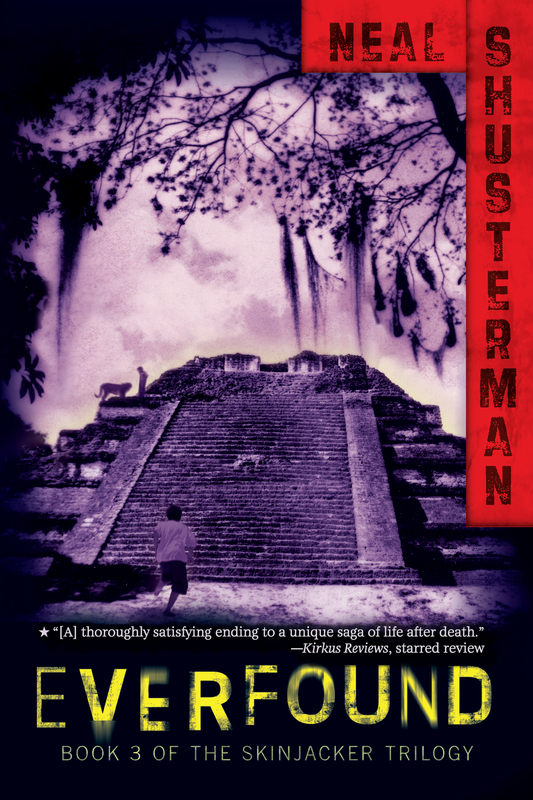 • The first character we meet in this novel is Jix, a child from the Yucatan Peninsula in Mexico whose ancestors were Mayan. Learn what you can about the Mayan civilization and draw a map of their empire. Include Chichen Itza and the great pyramid of Kukulcan. • The Alamo was the site of a battle between Texas and Mexico in 1836. Folk heroes James Bowie and Davy Crockett both died there, defending the Alamo. Research the causes of the battle, and the results of the Mexican victory there. • Wurlitzer, an old jukebox in the basement of the Alamo, an Object of Power as defined by Mary Hightower, is worshipped by the Neon Nightmares. Wurlitzer plays songs to answer questions posed by its devoted followers. Make up your own list of questions, along with a playlist of songs that answer them. • The more Allie tries to help the living world by skinjacking, the more problems she causes. (For instance, when she frees Seth Fellon, the innocent kid accused of arson, she has to occupy the bodies of prison guards and the warden—all of whom may go to prison for allowing Fellon to escape.) Allie has run afoul of the Law of Unintended Consequences, a theory of the social sciences. Research and find real-world examples of unintended consequences. • Alamogordo, Trinity, Ground Zero—the climax of the novel takes place in the New Mexico desert where the first atomic bomb was tested, and where Mary develops her plan to use such a weapon to destroy the world. Choose a topic involving nuclear bombs and present a report. You can choose the development of the first atomic bomb, the debate over their use in Hiroshima and Nagasaki at the end of World War II, the Cold War between the United States and the Soviet Union, or the current status of nuclear weapons around the world.